Please select options for BBK Cold Air Intake (2010 GT) at the top of this page. Improves Horsepower. 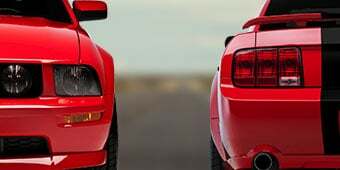 A BBK Cold Air Intake improves the airflow path into your Mustang's engine for more power and better acceleration all while filtering out harmful power robbing dust particles. This BBK CAI kit completely replaces your 2010 GT Mustangs restrictive stock air box and paper filter element with a high flow BBK filter assembly for an increase of rear wheel horsepower. No Tune Required. 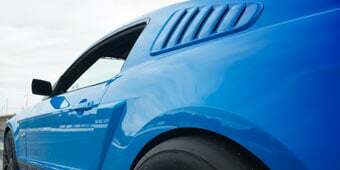 Unlike other Cold Air Intakes on the market for the 2010 GT Mustangs the BBK CAI does not require a computer re-tune. The engineers at BBK really did their homework to improve your Pony's power using the stock tune. Reusable Filter. BBK designed their high flow cotton air filter to be reusable. So no there is no need to go out and buy a new filter every few thousand miles. Just clean the filter, re-oil it, save money, and go! Chrome Finish. This BBK CAI not only improves your Pony's horsepower and acceleration, but it also improves your Mustangs under hood appearance with a striking chrome finish. You'll be sure to win all the car shows with this jewel under the hood. Easy Installation. 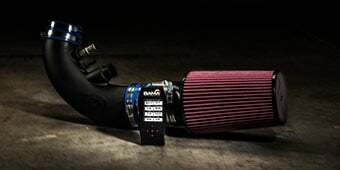 BBK Cold Air Intake kits are designed to install with just basic hand tools. No extra modifications or special tools are required for an easy 1 hour installation. Application. This BBK Cold Air Intake System is specifically designed to fit the 2010 4.6L V8 Mustangs and does not require re-tuning the vehicles computer for operation. This will certainly fit with the 62 mm SR Performance Throttle body. This also comes with a great filter, but that's not without saying that Airaid doesn't have arguably the best filter on the market. 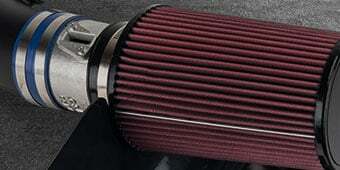 However, BBK has an oil filter which is what you would want for an area like the desert. 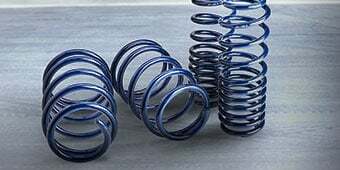 Does this part have a CARB EO # (California Legal)? 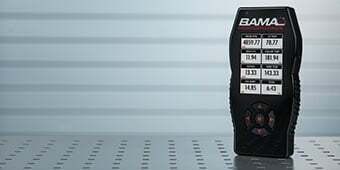 Hello, unfortunately the BBK Cold Air Intake (10 GT) is not CARB certified at this time therefore it is not legal for use in California or other states adopting California emission standards. much better! i have a buddy that has done it and we lined them up and he pulled away from me and i was only stock and he had the BBK Cold Air Intake and Programmer/tuner. Absolutely get the tune. 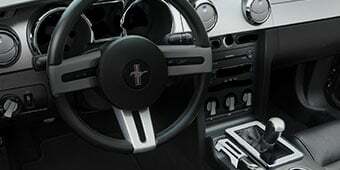 It will make your Mustang GT spot on in correct AFR, timing, etc. Have BAMA write you their race tune. The 93 tune with this CAI will absolutely knock you socks off. You will also get better mileage when you keep your foot out of it. Good Luck!! Will this attach to the stock intake hose? I was thinking about upgrading my stock CAI. This seemed to be the one for my 2010 Mustang GT, but does it come with the full hose that attaches the filter to the throttlebody? This particular CAI does reuse the stock tubing for installation. 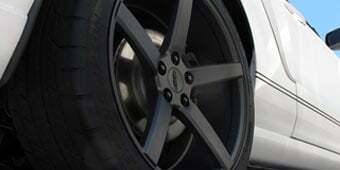 We do offer several other CAI options for your '10 GT if you'd like to take a look. 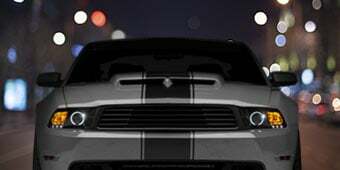 Simply click here: http://www.americanmuscle.com/2010-mustang-air-intakes.html and select the 2010 GT filter at the top of the page! Best One I Have Had!!! Big Gain! Love it and it matches the color of my car!! makes for a mean look! It took me a little more than 1 hour to install. The Instructions are very good but the photos with instructions could be better not very clear to view a little too dark.Had a little trouble getting the stock air inlet tube out. A little tip before putting on the sponge seal the metal corners are square which makes it hard to install sponge, what I did was round the corners with my channel locks and the sponge seal went on nicely. Aside from that everything went very smooth. Probably the hardest part is removing the plastic covering the front of the engine compartment. I used this air intake so I could re-use the rest of the intake parts. My only problem is that I also changed out the throttle with a 62 mm which made me have to change the existing intake for the larger throttle intake. Went in easy. My only problem was the old intake that went through the radiator support did not want to come out. I struggled some there. With the intake out of the way instilation took me less than 30 minutes. The kit looks good under my hood but it also performs as good as it looks. Easy install. Good product if you don't have or are waiting to tune your car. The intake was quick and easy to install. Took no more than 30 minutes to install. The only issue I had was with removing the snorkel off the factory intake. Everything else went nice and smooth. From the first test drive I noticed an increase in my horsepower and within that first week also an increase in my MPG. Great product and company. I have not had the car on a dyno but the performance feels improved. I also added a BBK throttle body. According to BBKs literature I should be getting 20-30 HP between the two parts. Fitment was not perfect, some of the filter box required a little bending. Putting the gasket on the 90 degree corners on the filter box was particularly hard. It would be better if these corners had a nice rounded radius to them. Overall maybe 40 minutes total install time. The finished look is awesome! BBK's CAI was a breeze to install, instructions were easy to follow, and the shipping was fast. I took the time to drive with all stock components to really get a feel for the car, and with the addition of this CAI, I saw improvements in both throttle response and could hear a nice growl under the hood when I got on it. 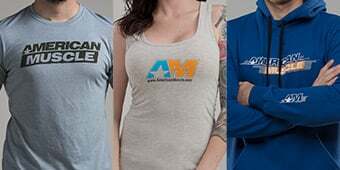 Many thanks to AM for their customer support. Arrived fast, installed in less than 20 minutes, very noticable sound improvement and throttle response. Works well with the BBK Throttle body. Next to get and install the underdrive pulleys. The throttle response is unbelievable!!! !Its wicked fast with the race tune from bama tuning. Thanks AM!! !